With a global membership that includes industry attorneys, senior executives, financial advisors, regulators, consultants and academics, IAGA's individual and corporate members contribute consistently to the ongoing development and advancement of the global gaming industry. 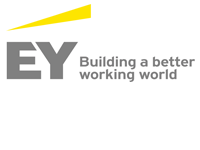 To learn more, click on the links to recent news articles and press releases below. If you're an IAGA member and have recently been featured in a news story not referenced below, please send it to [email protected] so it can be added. Paul Baker appointed as president of Grand Lisboa Palace. Casino operator SJM Holdings has announced the appointment of Paul Baker as the new president of Grand Lisboa Palace, which is expected to open in 19H2. IAGA Trustee Rui Pinto Proença appointed Global Chair of the Lex Mundi Gaming Solution. Rui Pinto Proença, partner in Macau law firm MdME, has been appointed Global Chair of the Lex Mundi Gaming Solution – a network of law firms covering more than 25 jurisdictions around the world. Greenberg Traurig's Martha Sabol Named One of Chicago Business Journal's Women of Influence. Martha A. Sabol, co-chair of the Gaming Practice and the firmwide Women's Initiative at global law firm Greenberg Traurig, LLP, has been recognized as one of Chicago Business Journal's 2018 Women of Influence. Key 2017 moments for the Asia Pacific casino industry. IAGA Member Pedro Cortés, a senior partner at the Macau legal practice Rato, Ling, Lei and Cortés, offers his insights in this GGR Asia article. 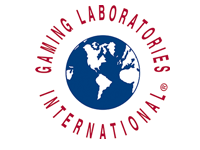 Amy Elder appointed to International Association of Gaming Advisors leadership role. The Mississippi Business Journal reports on Ms. Elder's appointment as IAGA's Americas Advisory Board Chair. To read the entire article, click here. BREXIT = No exit from robust gambling regulation. David Clifton from Clifton Davies Associates in London discusses numerous issues related to gaming regulation requirements both in the UK and the EU. To read the entire article, click here. Sean T. Higgins Announced as Senior Vice President of Government Affairs and Business Development for Golden Entertainment, Inc. Golden Entertainment, Inc. (NASDAQ:GDEN) based in Las Vegas, announced that Sean T. Higgins has joined the company as senior vice president of government affairs and business development. To view the entire article, click here. Does Everi Holdings already have its permanent CEO in Rumbolz? Las Vegas Review Journal's Howard Stutz interview's Everi Holdings' Interim CEO and IAGA Counselor Mike Rumbolz on his appointment as Interim CEO. To read the full article, click here. UK Responsible Gaming Body Appoints John Hagan as New Chairman. The Industry Group for Responsible Gambling (IGRG), the watchdog established by the UK’s main gaming industry trade associations, has announced that IAGA Assistant Treasurer and Partner in the London firm Harris Hagan John Hagan will become its new chairman next year, replacing Gala Coral non-executive director Barry Hardy. To read the full article, click here. Former Obama advisor to speak at local conference. Michael Bresnick from Venable is speaking at the Macao Gaming Show conference: as a former advisor to President Obama’s Financial Fraud task force, Bresnick is speaking on AML issues. To read the full article, click here. 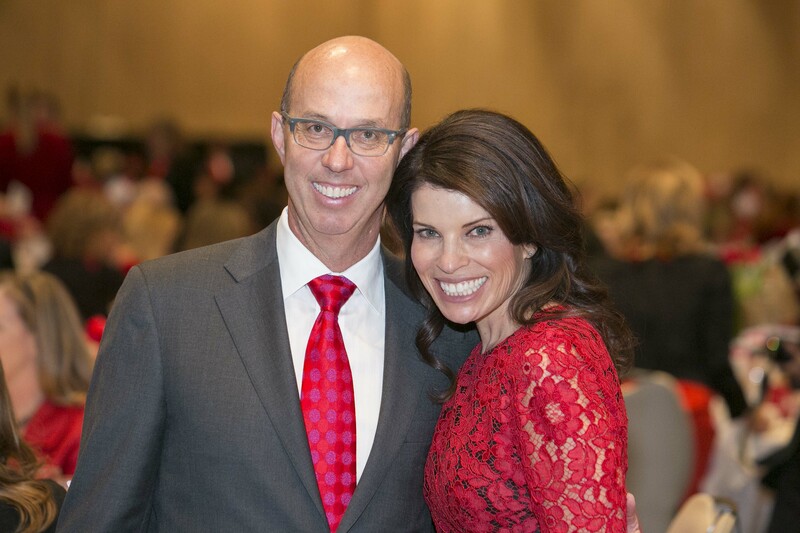 Honor for gaming lawyer Frank Schreck is well-deserved. Las Vegas Sun owner, publisher and editor Brian Greenspun discusses IAGA Counselor Frank Shreck's impact on gaming in Nevada. To read the entire article, click here. Deep Bench: Greenberg Traurig's global gaming practice featured as the cover story in Global Gaming Business. To read the entire article, click here. New era for casino systems, EGMs in Asia: Gavin Isaacs. Scientific Games President and CEO Gavin Isaacs, a former IAGA president and current IAGA Counselor, interviewed by GGR Asia on recent Asia activity, the Macau downturn and more. To read the entire article, click here. Interblock Names IAGA Member Mark Lipparelli Compliance Committee Chairman. To view the entire press release, click here. IAGA Secretary and Caesars Acquisition Company Senior Vice President-Corporate Development, General Counsel and Corporate Secretary Michael Cohen Tells Pennsylvania Lawmakers that Online Gaming Could Attract a Younger Crowd. To view the entire article, click here. IAGA Vice President and Greenberg Traurig Shareholder - Co Chair of the Gaming Practice Martha Sabol shortlisted for Chambers USA Women in Law award. Greenberg Traurig, LLP has been named a finalist for Most Pioneering Gender Diversity Initiative, Most Valuable Mentoring Program for Women Lawyers, and Most Inclusive Firm for Minority Women Lawyers as part of the 2015 Chambers USA Women in Law Awards. Additionally, firm attorney Martha A. Sabol is a finalist for an individual award for Leadership in the Profession: Gender Diversity – Lawyer of the Year. To read the full release, click here. Duane Morris Baltimore Office Adds Partner Stephen L. Martino. Former Director of the Maryland Lottery and Gaming Control Agency Stephen L. Martino has joined Duane Morris LLP as a partner in the Corporate and Gaming Law Practice Groups. To read the release, click here. Utah native takes roundabout route to becoming gaming attorney. Jennifer Roberts, partner at Duane Morris and Chair of IAGA's Shannon Bybee Scholarship Committee, is profiled by Howard Stutz in this article published in the Las Vegas Review Journal. To read the full article, click here. Former Attorney General Mark Pettingill Sets Up New Law Firm. Former Attorney-General Mark Pettingill has established Pettingill & Co., a law firm with areas of expertise including casino gaming and family law. To view the entire article, click here. Gov. Bob Miller to Speak at 23rd Annual Casino Collectibles Convention. Former Nevada Governor and IAGA Counselor Robert "Bob" Miller named as the banquet speaker at the 23rd Annual Casino Collectibles Convention June 24-27 at the South Point Hotel and Casino in Las Vegas. To read the entire announcement, click here. IAGA General Counsel and MGM Resources International Executive Vice President, General Counsel and Secretary John McManus Raises Over $40,000 for the St. Baldrick's Foundation. To raise money for childhood cancer research, John McManus participated in the 2015 St. Baldrick's Foundation fundraiser held at the New York, New York Casino in Las Vegas to raise funds for childhood cancer research and raised over $40,000 by shaving his head and his beard. Greenberg Traurig Shareholder Martha A. Sabol to Speak at National Association of Women Lawyers Mid-Year Meeting. Martha A. Sabol, co-chair of the Gaming Practice and of the Women’s Initiative of international law firm Greenberg Traurig, LLP, will speak at the National Association of Women Lawyers (NAWL) Mid-Year Meeting and Awards Luncheon on the “Making Legal Economics Work for You” panel. To view the press release, click here. 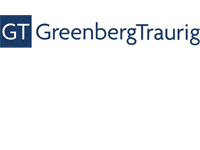 Greenberg Traurig Partners with Drexel University for ‘Taste of Law’. Greenberg Traurig, LLP will partner with Drexel University’s Center for Hospitality and Sport Management to launch the school’s Business of Hospitality Education Series. Seven attorneys from the firm’s Philadelphia office will address the legal implications of opening a restaurant in Philadelphia, including zoning issues, labor and employment relations, and immigration obligations during the series’ Taste of Law seminar set for 10 a.m. to 12:30 p.m. on April 20 at the school. To view the press release, click here. If Nevada's Doing It, Why Can't We? 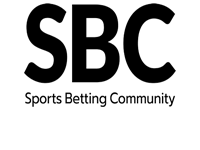 Published in the February 2015 issue of Casino Enterprise Management, Brownstein Hyatt Farber Schreck shareholder Andy Moore discusses sports betting and the PASPA wire act. To read the article, click here. 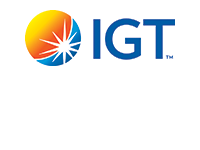 Four Greenberg Taurig Attorneys to Speak at ICE Totally Gaming 2015. 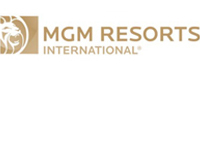 In a press release distributed February 5, Greenberg Traurig announces that Shareholders Martha A. Sabol, Mark A. Clayton, Loretta A. Tuell, and Laura McAllister Cox are speaking at ICE Totally Gaming 2015 taking place Feb. 3 – 5, 2015, in London, U.K. To view the press release, click here. Laura McAllister Cox Named Top Lateral Hire of 2014 Runner Up. On February 24, Greenberg Traurig, LLP announced that Shareholder Laura McAllister Cox has been named a Top Lateral Hire Runner-Up for 2014 by The Legal Intelligencer. To read the press release, click here. Law firm steeped in Nevada gaming history relegated to history pages. 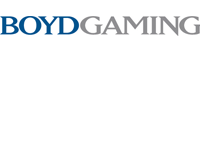 Released by the Las Vegas Review Journal on January 10, 2015, journalist Howard Stutz discusses the merger of Lionel Sawyer & Collins with Fennemore Craig and the firm's historical role in shaping Nevada gaming. To read the article, click here. Gaming Attorney Kate Lowenhar-Fisher Joins Dickinson Wright's Las Vegas Office as a Member. 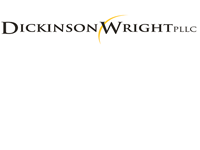 On January 6, 2015, Dickinson Wright PLLC announces that Attorney Kate C. Lowenhar-Fisher has joined the firm's Las Vegas office as a Member. To read the entire press release, click here. Greenberg Traurig announces Tokyo Office, Expanding Asia Practice. On January 5, 2015, Greenberg Traurig announced the opening of their Tokyo office, the firm's third location in the region and their 37th office worldwide. To read the press release, click here. Fin/Cen Casino Relationship hot topic at recent IAGA event. Published in the December issue of Casino Journal, IAGA member and Trustee Lynne Kaufman, a partner in the gaming law department of Cooper Leveson in Atlantic City, provides an insightful look into IAGA's 2014 International Gaming Summit held in Philadelphia, PA. To read the complete article, click here. Attorney Jennifer Carleton moves West, joins firm with major presence in Nevada. Released by the Las Vegas Review-Journal on December 26, journalist Howard Stutz conducts an insightful interview with attorney Jennifer Carleton, a shareholder with prominent gaming firm Brownstein Hyatt Farber Schreck. To read the article, click here. Snell & Wilmer partner Greg Brower appointed to IAGA Board of Trustees. As reported by Vegas Inc. in their December 7 - 13 "People on the Move" section, Snell & Wilmer partner Greg Brower was appointed to the board of trustees of the International Association of Gaming Advisors. To see the post, click here. © 2019 International Association of Gaming Advisors. All rights reserved.